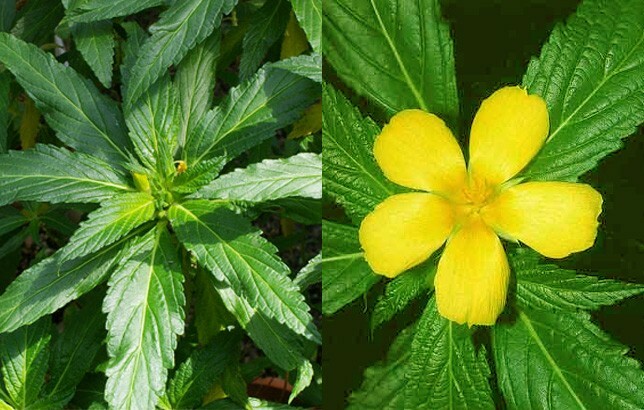 Traditionally, damiana has been used as a sexual stimulant. ArginMax for women contains damiana, but also L-arginine, ginseng, ginkgo, multivitamins, and minerals. Larger, well-designed studies using damiana alone are needed before a recommendation can be made. "YGD," containing yerbe mate (leaves of Ilex paraguayenis ), guarana (seeds of Paullinia cupana ) and damiana (leaves of Turnera diffusa var. aphrodisiaca), is an herbal preparation frequently used for weight loss. More studies using damiana alone are needed before a recommendation can be made. Common Names: Bignoniaceae (family), bourrique, caryophyllene, caryophyllene oxide, Damiana aphrodisiaca , damiana de Guerrero, damiana herb, damiana leaf, delta-cadinene, elemene, flavone glycoside, herba de la pastora, flavonoids, Mexican damiana, Mexican holly, mizibcoc, old woman's broom, oreganillo, p-arbutin, ram goat dash along, rosemary, Turneraceae (family), Turnera aphrodisiaca, Turnera diffusa, Turnera diffusa Willd. ex Schult., Turnera diffusa Willd. var. afrodisiaca (Ward) Urb., Turnerae diffusae folium, Turnerae diffusae herba, Turnera microphylla, Turnera ulmifolia.